Book installment – Amelia Treader, an author and more. Since it seems that our Regency spy romance is much more popular than our science fiction, this post introduces the sequel to The Art of Deception. Amanda’s reading was interrupted by a summons to attend on her mother. Amanda’s mother made it clear that she must attend the assembly. After a short carriage journey, it only being six or so miles between Coalpit Heath and Chipping Sodbury, they have arrived. Mr Jameson just asked Amanda to dance, despite her interest in a mathematics problem. The set over, Amanda wants to return to her usual pursuits when her mother stops her. “More hair than wit,” Amanda muttered under her breath. “Don’t be so snobby, you know that’s not true; she’s a delightful chit and you used to be such friends; come,” Mrs Bentley took her daughter’s hand and dragged her around the outside of the room. My sincere apologies for abusing semi-colons. I think we have a great deal of work to do. None of these are much better. Since it seems that our Regency spy romance is much more popular than our science fiction, this post introduces the sequel to The Art of Deception. Amanda’s reading was interrupted by a summons to attend on her mother. Amanda’s mother made it clear that she must attend the assembly. After a short carriage journey, it only being six or so miles between Coalpit Heath and Chipping Sodbury, they have arrived. Mr Jameson just asked Amanda to dance, despite her interest in a mathematics problem. Amanda joined him in the line on the floor; the orchestra played the opening chords of a country-dance and the crowd began to move through the figures. “I’m counting my steps,” Amanda watched her feet on the floor. The featured image shows dancing at Almack’s. Actually it shows Beau Brummel giving his critical opinion about the dancing. Something tells me he was not amused. 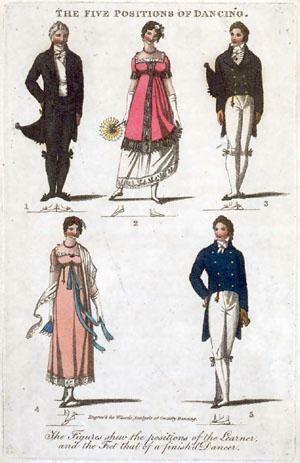 Despite Mr Darcy’s comments to the contrary, dancing was a critical social skill. Amanda, living on the outskirts of the polite world, is doing her best to stay in step. At least she’s aware that dancing with the same man too often would have consequences. Since it seems that our Regency spy romance is much more popular than our science fiction, this post introduces the sequel to The Art of Deception. Amanda’s reading was interrupted by a summons to attend on her mother. Amanda’s mother made it clear that she must attend the assembly. After a short carriage journey, it only being six or so miles between Coalpit Heath and Chipping Sodbury, they have arrived. Amanda blushed, “Yes,” She rose to curtsey to him; her notes lying, unbidden on the table. 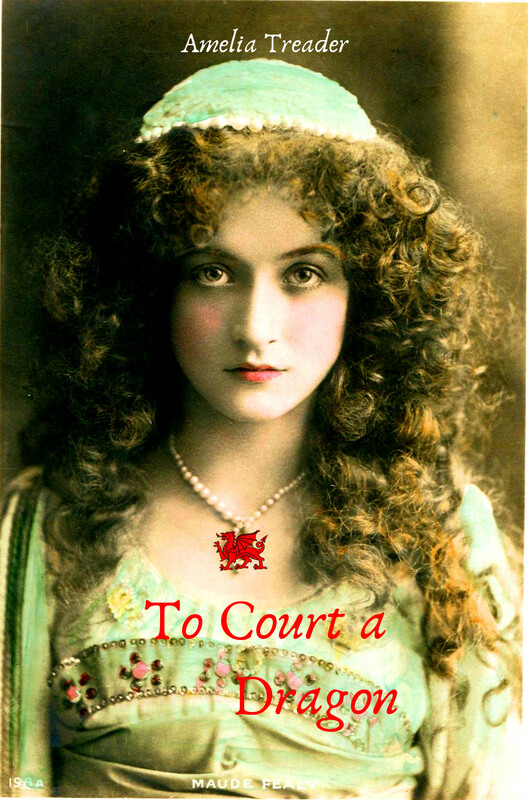 Amanda curtseyed and blushed again, “Thank you,” she took the paper and replaced it in her reticule. The orchestra reached the end of the 2/3; the final chords echoed through the room and interrupted Amanda’s reply; a pause in the music preceded the introduction of the next set. There’s a revolution in transportation that is underway during the time frame of this story. Canals would connect large parts of the UK withing ten-fifteen years. The Kennett and Avon Canal was finished in 1810. The featured image shows the canal in Bath. Jane Austen would have been familiar with it, although it was a rough place in her time. 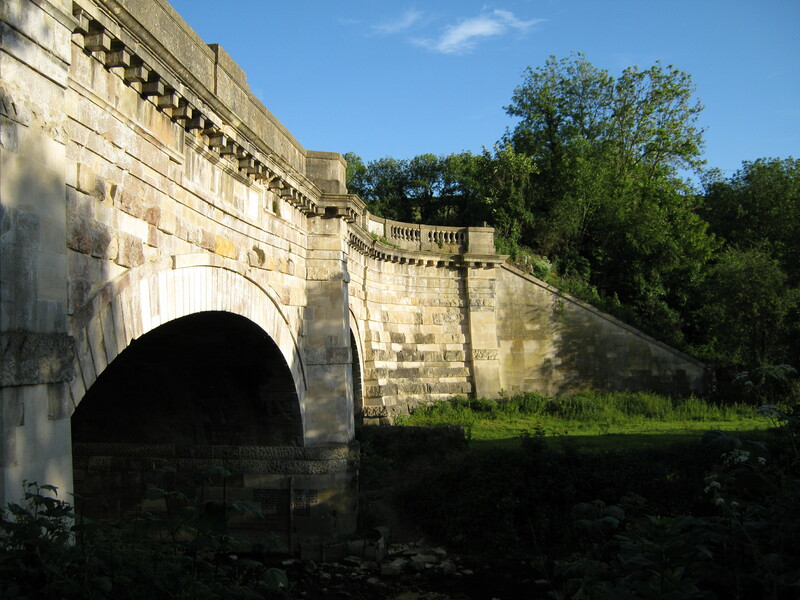 This bridge, in the middle of farmland, and almost literally in the middle of nowhere shows Regency decorations. It feels as if it were Mr Darcy’s moonshot, and in some what that’s true. 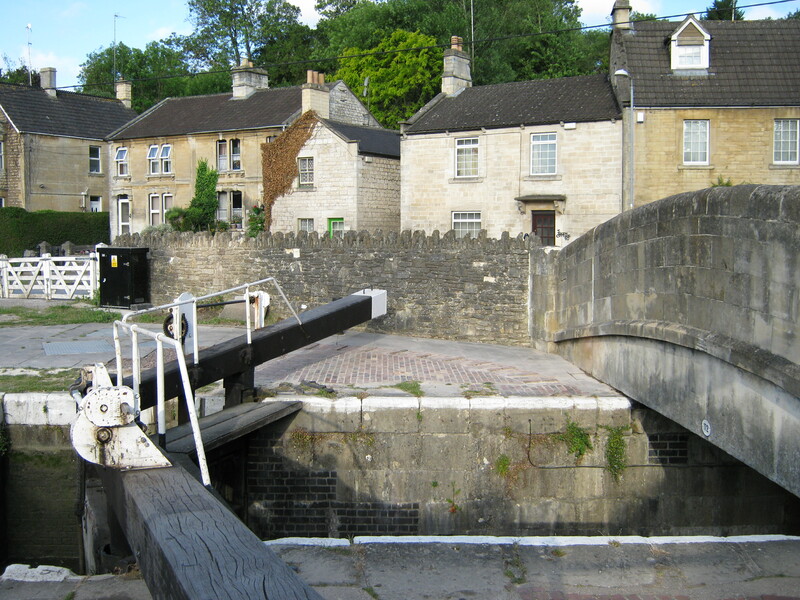 This lock, in Bradford on Avon, would have been there while Amanda worked on her math problems. As would this, the Avoncliff Aqueduct. It’s next to the Cross Guns which is an elegant pub – though that doesn’t stop the chavs from decorating the path with technicolour yawns (I know that’s Australian). 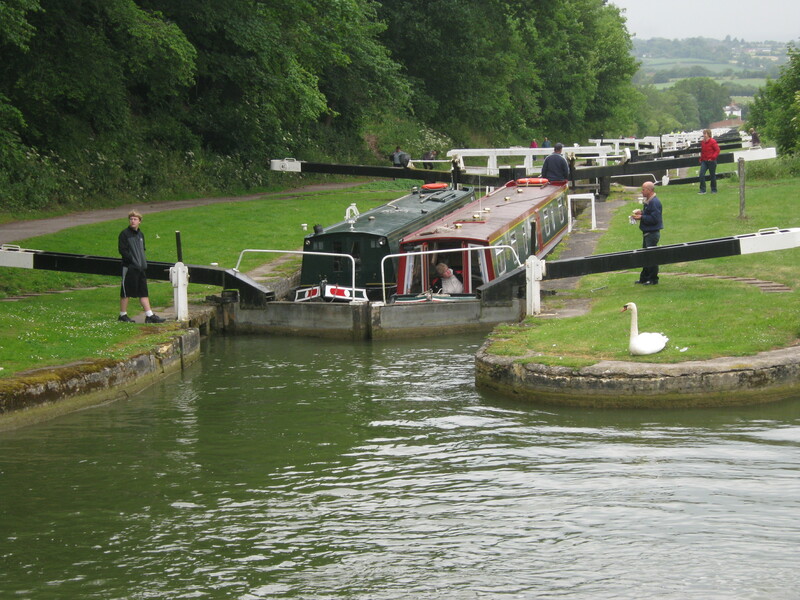 The last locks to be finished, in 1810, were the Devizes steps. They make for an exhausting day, even with modern canal boats. 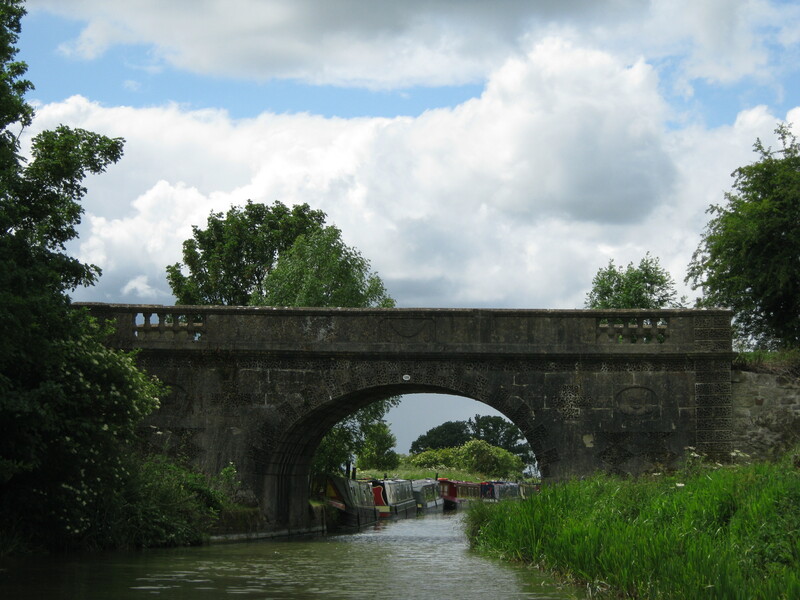 If you’re a yank and want to try a canal trip, the trick is to go directly to the UK sites. The US ones tend to double the price. The carriage’s arrival in front of the hall interrupted Mrs Bentley’s cutting reply; a servant, dressed something like a footman, opened the door; he offered an arm and at her mother’s urging, Amanda descended; not gracefully, as her mother would remind her in a few moments, but nonetheless without tripping. She waited for her mother and father before entering the hall. It looked entrancing, an orchestra scratching out a dance, and – far more important – an excess of young men. That did not last long; a veritable flock of young ladies, chattering among themselves came through the door behind them. The excess of gentlemen vanished in an instant; Amanda sighed, found a seat at the side of the room, and pulled a small sheet of paper from her reticule – You can take the book from the mathematician, but not the mathematics – she started writing out a problem in symmetric polynomials, at least what she could remember of it. “What is it, now?” She did not look up. 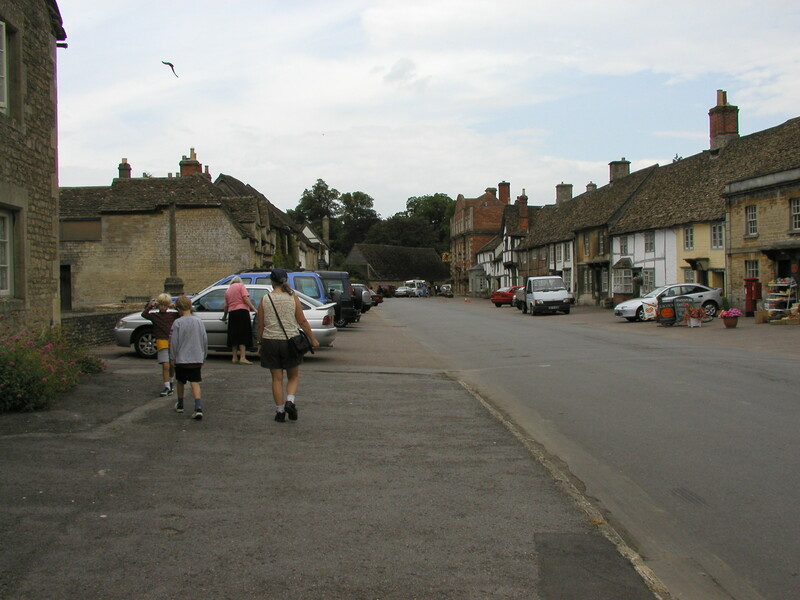 Coalpit Heath is a real place on the outside of Frampton. Most of it is rather nice, unlike this farmhouse next to the tracks. It’s literally on the wrong side of the tracks. 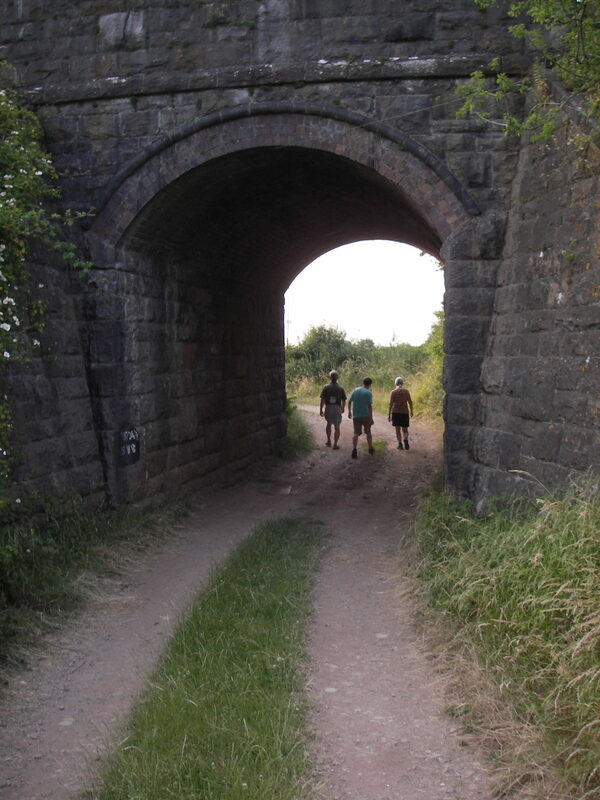 I don’t have a good picture of the remains of the coal works from the early 19th century because we were always either in a hurry to get walking or it was too dark by the time we returned. They and numerous pit mines supplied the fuel for the iron works at Iron Acton. The villages remain, but little sign of the industry is visible. 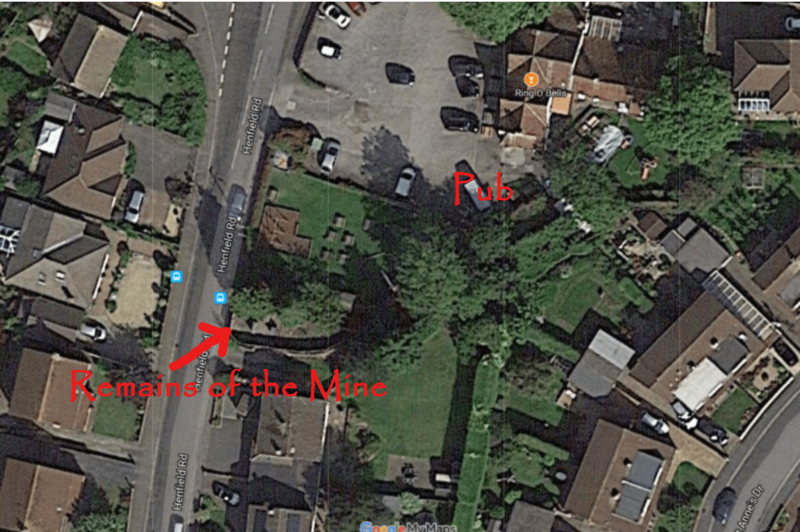 Google maps shows the site, if you happen to be in the area. Illegal aliens is up for order on Amazon. In the end, the way to fix my mistakes was to issue a new edition. I still used kindle create but in a more native way to produce a “reflowable” book. You can get a copy of the first four chapters on instafreebie. Since it seems that our Regency spy romance is much more popular than our science fiction, this post introduces the sequel to The Art of Deception. Amanda’s reading was interrupted by a summons to attend on her mother. Amanda’s mother made it clear that she must attend the assembly. Coalpit Heath and Chipping Sodbury are near the port of Bristol – Mr Bentley’s iron would likely have gone by sea from there. The Severn, the river that leads into the Bristol channel is known for its large tidal differences. 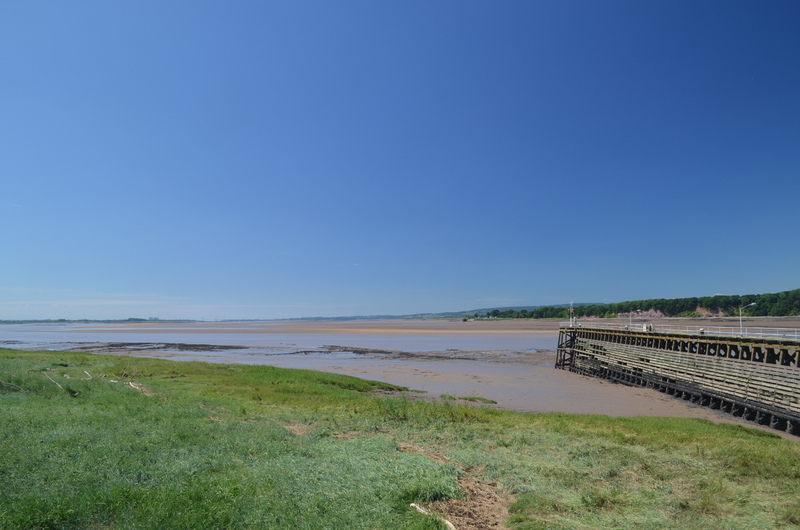 At low tide the Severn is non-navigable. It looks like one could walk across it and upstream, nearer Gloucester, one can. I presume that’s why Offa’s dyke is on the far side of the river. The solution to this, of course, was a canal. The Gloucester and Sharpness canal, seen also at low tide here, was under construction at the time of this story. The canal company that started it went bankrupt so that it spent a few years as a useless big ditch. 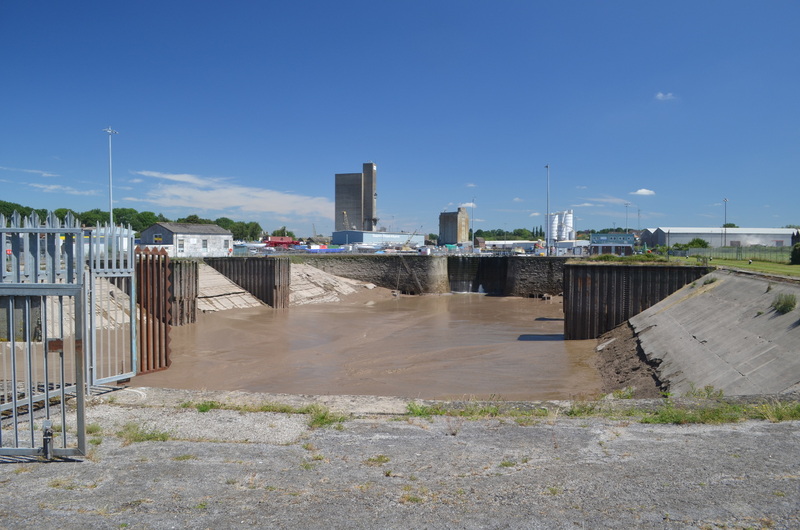 Prior to completion, the cargo boats would have had a few hours to make it up or down the Severn. It would have been interesting if not dashed exciting and somewhat dangerous to ride one downstream when the tide was flowing. The RNLI frowns on people doing it today in canoes (kayaks in the US and Canada). Since it seems that our Regency spy romance is much more popular than our science fiction, this post introduces the sequel to The Art of Deception. Amanda’s reading was interrupted by a summons to attend on her mother. Amanda has just asked if she must attend the assembly. While she seems strict, Amanda’s mother has her head screwed on the right way. The alternatives to marriage for an unmarried woman, even a mathematically inclined one, were bleak. 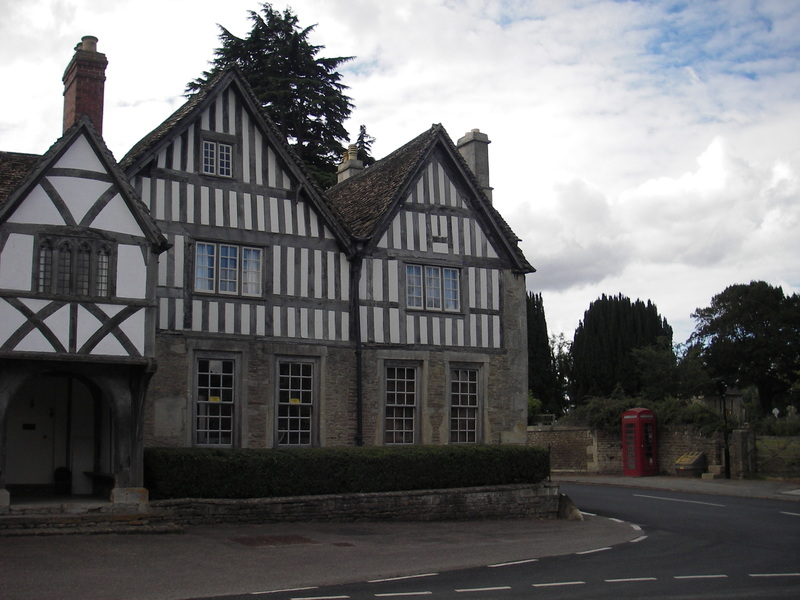 To set the scene, this building in Lacock abbey is fairly typical of village buildings. You’ve seen it – Lacock abbey is the background in many films – ranging from Pride and Prejudice to Harry Potter. The Red Lion pub (I don’t have a good picture of it but it’s in the centre in this picture) is a dead giveaway. Author AmeliaPosted on July 29, 2017 July 29, 2017 Categories Book installment, regency, romance, weekend warriorTags Regency, UK, writing16 Comments on The Divinity School 2. Since it seems that our Regency spy romance is much more popular than our science fiction, this post introduces the sequel to The Art of Deception. Amanda looked up from her stitchery at the noise; her parents were arguing; they always were arguing. This time it seemed to be about the assembly tonight; her father did not want to attend it. She thought, “Perhaps they love to argue,” and with them distracted, put down her stitchery. She rose and slipped away to an upstairs room; a room away from the noise, but more important, it was where she hid her books. The ones that were too exciting for a mere female. Ignoring the distant cries of battle from her parents, she sat in the window. She opened her book, a tattered copy of Hutton’s ‘Course in Mathematics’ and re-read the inscription, “To my darling sister, better you than me, Freddy.” She paged through the book to find the section, on symmetric polynomials; it was hard going, but interesting. As a bit of a hint, symmetric polynomials were the basis for Galois’ investigations into polynomial groups. Groups form the basis for much of modern cryptography – including the https you don’t see at this website. Amanda won’t go there, but … well you’ll see. Any road, Dr Hutton’s book was state of the art for 1809, and her brother has done her a great favour by sending it to her. Mind you, he wants to be a poet – a much more suitable occupation for a gentleman. 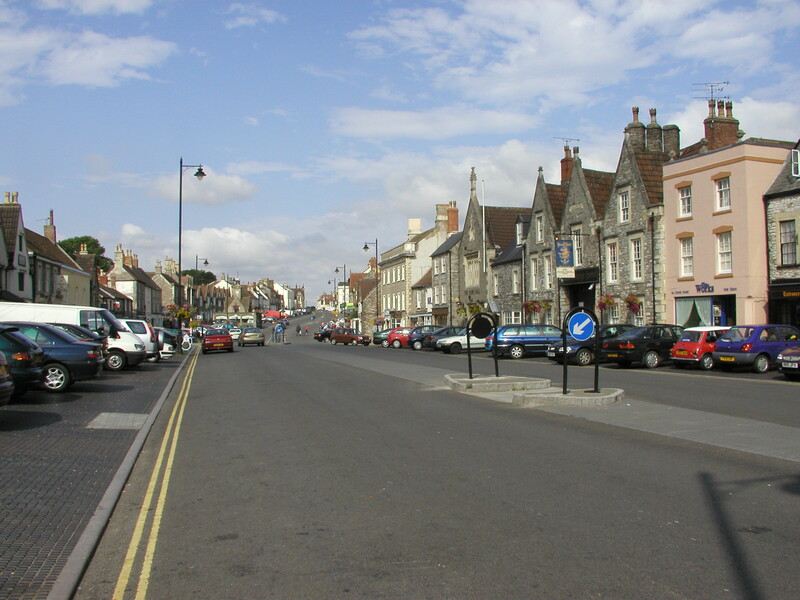 The assembly takes place in Chipping Sodbury, a small town near Coalpit Heath, which is near the villages of Frampton and Cotterell. Not to mention the thriving iron works at Iron Acton. It doesn’t look it today, but the area was a hotbed of coal mining and iron working in the early 19th century. Mind you, Frampton was an industrial centre for making hats. Today they’re all suburban communities on the outskirts of Bristol. 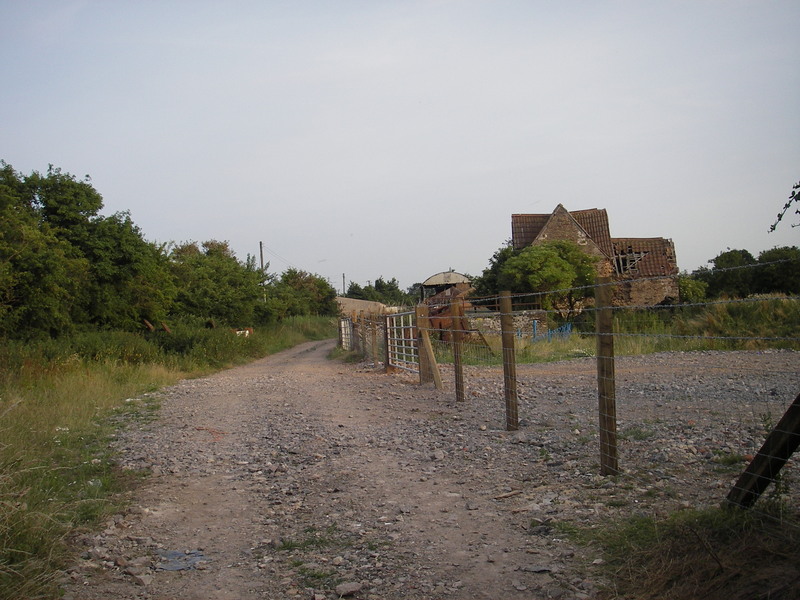 The featured image shows how some of the area looks today – the buildings in the foreground would have been there, but those on the hill were built mostly after the second world war. Welcome to weekend writing warriors. Many fine authors, and me, contribute short snippets for your delectation. This is the start of a new work, Illegal Aliens. It is something of a cross between a horror story, a science fiction tale, and a romance. One of a somewhat menacing pair of visitors finished last week with “that is irrelevant.” Maybe for them. The visitors found a mysterious note in what looks vaguely like Arabic, in a somewhat illegal search. Roland, in a mixture of embarrassment and pride read it (or at least its summary) last week. Another element from Roland’s past and a cat show up. Last week we met Roland’s old post-doctoral supervisor. Roland continues translating (and the cat is back). The cavalry arrives this week, in the form of a DI who worked on Roland’s missing wife and child. “News,” Roland’s attention focused on him. I’m getting a bit ahead but these images will be useful next week. 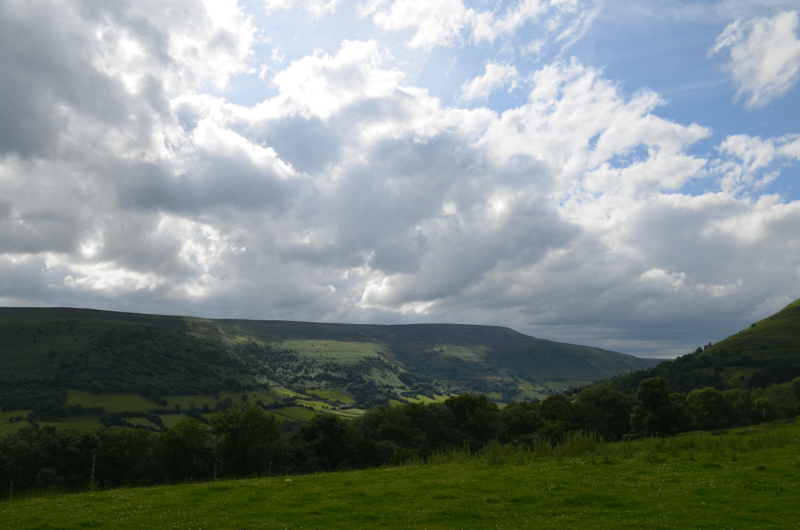 The Black Mountains of Wales are stark and beautiful. This picture shows the dense heather that covers their flat tops. Sugarloaf mountain is that peak to the right of the background. 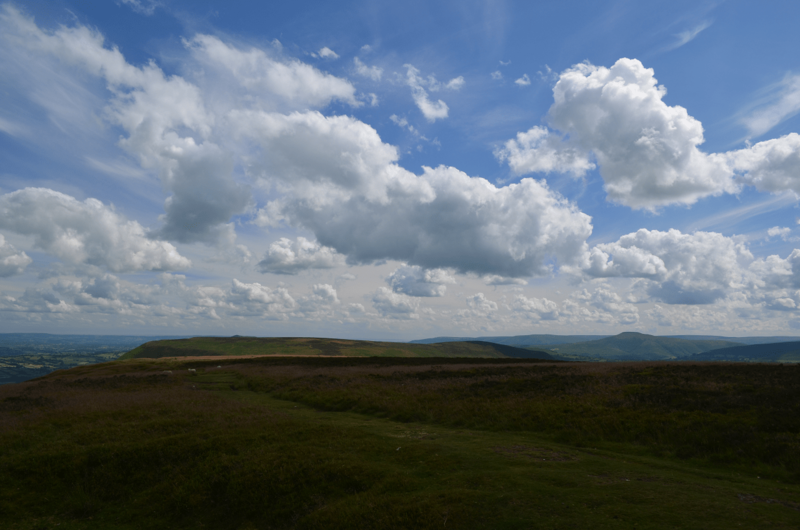 Grwyne Fawr is on the other side of the mountain in this picture. Roland awoke after bringing an attractive young woman home, alone. Something of a surprise, and in some ways a shock. His mobile chirruped into life and the works manager – where he’d been called to examine a mysterious block of Roman concrete – told him the “bloody German bomb, it went.” A knock on the door interrupts their conversation just after Mr Shah explains that one of his workers couldn’t even stand the firecrackers on Guy Fawkes. One of a somewhat menacing pair of visitors finished last week with “that is irrelevant.” Maybe for them. The visitors found a mysterious note in what looks vaguely like Arabic, in a somewhat illegal search. Roland, in a mixture of embarrassment and pride read it (or at least its summary) last week. Another element from Roland’s past and a cat show up. Last week we met Roland’s old post-doctoral supervisor. This week Roland continues translating (and the cat is back). I’ll be off exploring Exmoor next week. High open and wind-swept hills with unbelievable views (when it isn’t raining) and sea nearby (wet suits are a good idea if you want to actually bathe). Horses and horse-flies. The ordnance survey maps show stone circles and other neat neolithic monuments. One has to be careful, however, the last time I was there I used the British Grid and a GPS to find one. It was literally a circle of small stones (about 2Kg each) in a field of heather. Unlike Stonehenge of Avebury, it wouldn’t have been a difficult feat of engineering. The Art of Deception, first in a series of late Georgian/early Regency spy novels is available for preorder. You can get the first part here. One of a somewhat menacing pair of visitors finished last week with “that is irrelevant.” Maybe for them. The visitors found a mysterious note in what looks vaguely like Arabic, in a somewhat illegal search. Roland, in a mixture of embarrassment and pride read it (or at least its summary) last week. Another element from Roland’s past and a cat show up. The cat isn’t in today’s post, but hasn’t gone away (yet). Roland sighed, Welchmann wasn’t his favourite person, not since that time when he was a post-doc and the professor had made a pass at Janet; more than a pass in fact, but the police hadn’t been very enthusiastic about pressing charges; not against an eminent and well-connected scholar when the charges were based on the word of a grubby post-doc and his wife. It’s a little difficult to type them in wordpress, but you can get the appropriate fonts for hieroglyphics from psifer.com. Hieroglyphic writing is an interesting mixture of more or less alphabetic approaches, combined with determinatives (shades of meaning) that make it something like a rebus. A reed might be the symbol for ‘i’ and a cup for “i’b” – but a cup could also mean that this word is an offering and not be part of the sound of the word at all. The Semetic people who developed the ancestor of our alphabet took the idea of pictures for sounds, but (fortunately) left the determinatives behind. The hieroglyphs for Bastet (Bst) show how this works. The unsealed olive oil jar (Gardiner sign w2) is ‘Bs’ and the loaf of bread (it looks like a rising sun to me, but it’s a loaf) is ‘t’. Sometimes you’ll see it with two ‘t’s to make it clear that it is bstt. The final sign is a determinative for a female god. Just for the heck of it the sealed olive oil jar (Gardiner sign w1) has a different sound. Illegal aliens is up for order on Amazon. I tried using kindle creator on it to control dividers and formatting, and worked from a pdf file. The results are not as good as I’d hoped, but Amazon – in its wisdom won’t let me change it now that the kindle create program actually works from word files. It has, as usual, laid an egg.